Chewing gum pollution is a major problem in Prescott and is bound to get worse considering that chewing gum is the fasted growing segment of all confectionary sales. Gum is unsightly, contains bacteria and never breaks down. Chewing gum can be difficult to remove due to its sticky nature. 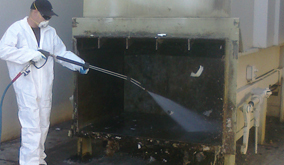 Gum removal can also cause permanent property damage leaving etch marks in the surface where the gum was. 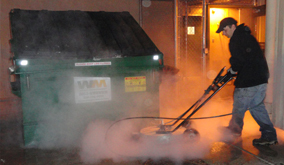 Our trained pressure washing professionals utilize the safest techniques when removing gum from your properties surface preventing any property damage, leaving a clean gum free surface. Help keep your business and Prescott looking beautiful, call today for a free estimate for gum removal at your Prescott, AZ property. 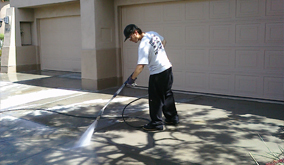 Call AZ Power Wash Pros for commercial gum removal services in Prescott, Arizona.